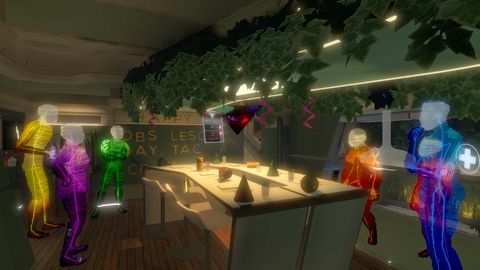 Matt checks out Tacoma, the latest from Gone Home studio Fullbright. Fullbright’s last game, indie megahit Gone Home, was met with a strange reception upon release. Many critics and players gushed over it, but the backlash was ferocious: it didn’t deserve the accolades, it didn’t count as a game, its creator was a big fat SJW. The quiet, unassuming title became a political football. I didn’t really connect with the story of Gone Home, but I appreciated what it was trying to do, and nonetheless found it an intriguing title. 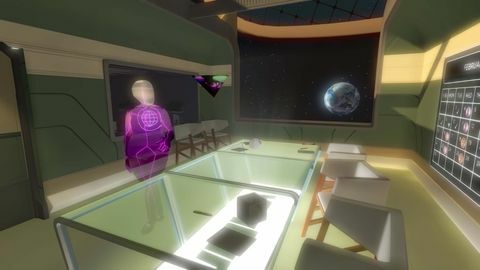 Thanks to its 2001: A Space Odyssey vibe and mechanics that expand beyond those in Gone Home, Tacoma is of much greater interest to me. Named for the lunar transfer station it takes place on – one that sits between the Earth and the moon – it is another story exploration game, one that has the player investigating his or her surroundings for clues as to what took place there. 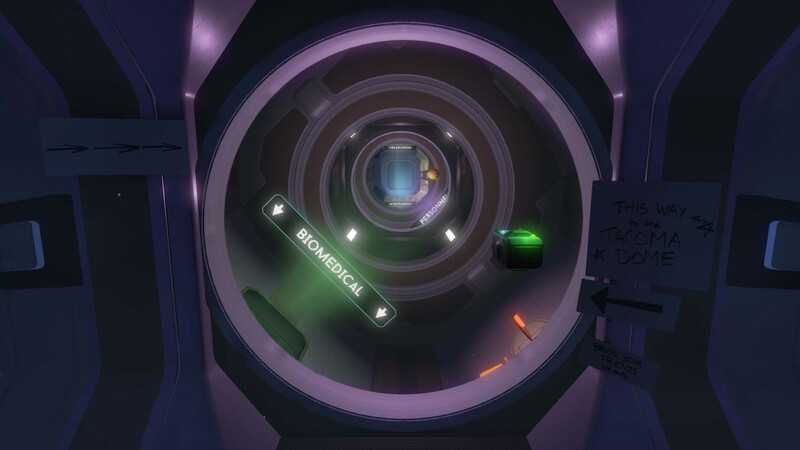 This time the player is Amy Farrier, hired by the Venturus company to retrieve an AI from Tacoma after an incident meant the station’s six crew had to be evacuated. Amy’s job is to go to each wing of the station, grab data from the facility’s AI, then leave. She’s not supposed to be investigating the station, and indeed it will be possible to finish the game just by doing the job assigned to you. 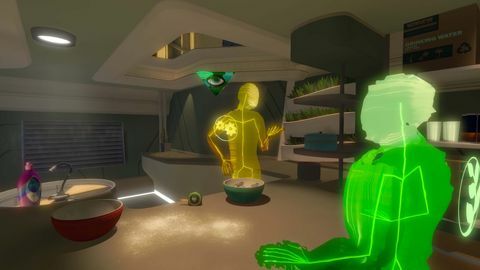 However, Fullbright CEO Steve Gaynor hopes that players’ curiosity will compel them to have a poke around, and that this self-motivation will make their decision to engage with the game more satisfying. “The AR characters are not just a piece, they are the heart of how you discover this narrative"
Our hands-off demo begins with Amy entering Tacoma in zero gravity and syncing with its augmented reality rig and tracking systems. These give her access to an AR desktop she can pull up at any time to access the operating system the crew used, and it also allows her to watch all crew interactions play back in real time, as they have been saved as AR data points. However, as she plugs into the machine, it’s clear the ship’s AI, Odin, is somewhat corrupted. A spot of zero-g basketball later, we’re moving up through the station’s central hub to its spinning outer rings, where there is gravity. Movement through the station and the station itself have been thoroughly revamped since we saw the game in 2015: Amy’s magnetic boots are gone in favour of free floating, and the station is smaller, more cramped, and more scientifically plausible. “Updating both those things was really important,” says Gaynor. The first AR vignette we see features the crew’s medic Sarah and administrator EV chatting. It’s a slice of life moment rather than anything revelatory, but it does give some insight into the personality demeanour of each participant. 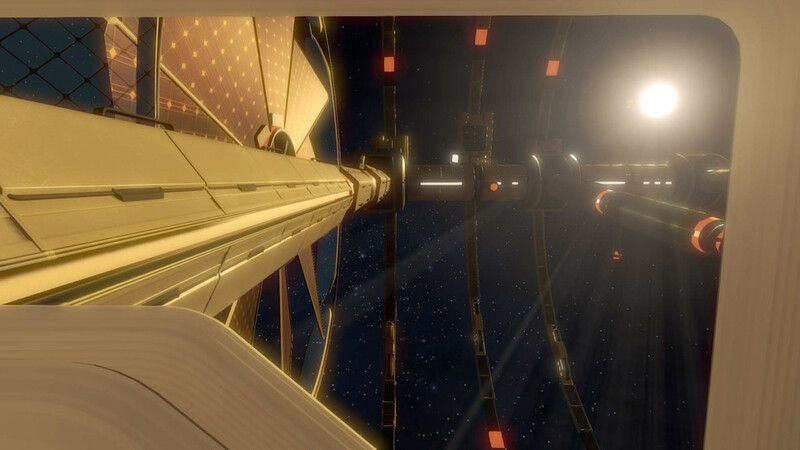 Past them and down in the gravitised crew module, we begins transfer of the first batch of AI data back to our ship, and decide to take a look around while it processes. There are more AR scenes, one featuring engineers Roberta and Natali. Some of these playbacks will feature most or all of the crew, and in those circumstances it’s up to you to choose who or what to focus on. You can pause the timeline at any point though, and move it forward or back in order to orient yourself and see things from a different angle, like some kind of time-controlling detective. You can also follow one crew member around the station if you choose, seeing everything they were up to before things went wrong. Between these interactions and the computer files you can access, it’s possible to build up the story as a whole. Another AR scene unfolds with botanist Andrew and operations specialist Clive. Different threads of the narrative will begin to converge and the pieces will fall into place, says Gaynor, and “these are the moments where as a player, the system really starts to sing”.